As far as calendar years go, 2016 was a remarkable one for Indian cricket. From a total of 46 matches (inclusive of Tests, ODIs and T20Is), India won 31, lost 11 and drew three. That comes up to a win/loss ratio of 2.81, which was by far the best among all teams that year. The regularity with which the team won invoked memories of the Australian team led by Steve Waugh, which won 16 Test matches in a row, a record that stands undefeated to this day (though it was equalled by Australia again, under Ricky Ponting). While it is plausible that most of India’s success was achieved due to playing a good amount of their cricket in conditions exceedingly familiar to them, I would rather point in the direction of Virat Kohli’s bat as to why India won with the frequency they did. In the first qualifier of the 2016 Indian Premier League (IPL), the ninth edition of the T20 extravaganza, Kohli got out for a duck against Gujarat Lions. The stadium went silent in an instant, as Kohli walked away from the pitch, shaking his head dejectedly, his stumps having been rattled courtesy of a thick inside edge. The silence that pervaded the stadium as he walked back to the changing room was reflective of how much of a shocker it was to see someone who had scored runs at will in the past six months leave without even scoring one. While Royal Challengers Bangalore went on to win the match and even reach the final, to see a man who had until then scored four centuries and ten half centuries in the tournament get out in such fashion was quite hard to accept for many. Virat Kohli in 2016 is something worth talking about, because of the sheer number of runs he scored in that year and the consistency with which he scored them. It is very likely that people will compare Kohli’s 2016 to Sachin Tendulkar in 1998, the year in which the batting maestro scored 2541 runs at an average of 68.67. Speaking of Tendulkar, it was largely accepted that Kohli was the next in line to spearhead India with the bat, but it was only in 2016 that the current Indian captain gave the unquestionable impression of being India’s next batting lynchpin, and also of the possibility that he may even surpass Tendulkar in the next seven to eight years. On that note, here is a look back at Kohli’s memorable 2016 in all formats. We begin with the five-match ODI series played in Australia, where Kohli scored 381 runs at 76.2, with his run of scores reading 91, 59, 117, 106 and 8. The 106 stands out, as it was a masterful batting display that almost took India across the line in a chase of 349. Kohli ended up being the second-highest run-scorer in the series, behind Rohit Sharma, who scored 441 runs. India then played three T20Is soon after the ODI series, with Kohli hitting half-centuries in all of them, reeling off scores of 90*, 59 and 50. His knocks were instrumental in India whitewashing Australia on their home turf, and he was declared Man of the Series for his tally of 199 runs. The T20 Asia Cup came next, and Kohli showed his prowess with 153 runs across four innings. Kohli’s innings against Pakistan was something that I will always remember, for he weathered the storm of a rampant Mohammed Amir, who had earlier dispatched Rohit Sharma, Ajinkya Rahane and Suresh Raina in an incisive spell. The ball was swinging viciously, and Amir utilized the uncertainty in the minds of the batsmen to create one gem of a delivery after another. India were 0/1 in a chase of 84 when Kohli walked in, and later became 8/3. He showed the highest level of skill and patience to score a measured 49. At that time, I thought that no innings of his could top that performance. However, I was wrong. Kohli’s best was yet to come. The World T20 in India was the next big event, and Kohli definitely rose to the occasion, scoring 273 runs in five matches. While his knock against the West Indies in the semifinal, where he scored 89 off 47 deliveries, was an excellent display of strokeplay and power hitting, his knock of 82* against Australia at Mohali stood out, and is by far the best T20 innings I have ever seen. 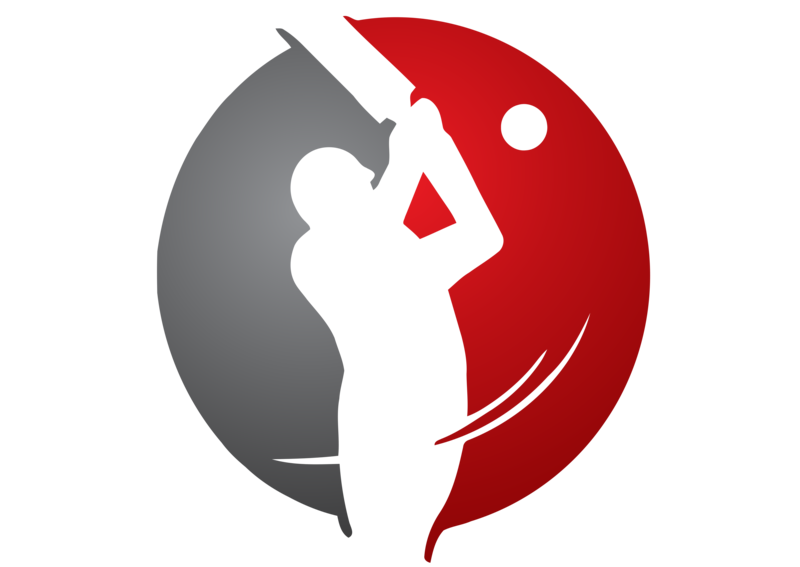 There was no rash hitting, no lofting of every delivery – just calm, clean cricketing shots. He simply picked the gaps and played his strokes to perfection. The show started when India needed 39 off 18 to win, with Kohli up against James Faulkner. He pulled the first ball he faced through midwicket for a four, and then smoothly sliced the next ball through point for another. He flicked the next ball over long off for a six, and this put India firmly in the driver’s seat. Against Clint McKay in the next over, the standout shot was the one off the third ball, which was just a tad too short. Kohli smashed it through extra cover for four, showing he was in complete control. It was a shot of the highest calibre, and only the very best batsmen could have played it. Kohli was duly adjudged the Player of the Tournament, but India unfortunately crashed out of the tournament in the semi-final. This brought back memories of the 2003 World Cup, when the great Sachin Tendulkar was given the same honour, but India failed to upstage Australia in the final. The IPL came next, and this was when we got a breathtaking exhibition from Kohli, who was consistency personified and possibly in the form of his life. He racked up an astonishing 973 runs at an average of 81.08, with four centuries and eleven half-centuries. To put that in perspective, the second-highest tally of runs in a single season is 848 by David Warner, in the same year. Most batsmen, even the ones with the finest innovative skills, usually get no more than one century in an IPL season, which again, shows that Kohli is certainly many a notch above the rest. As was the case with his shots during the World T20, he played calculated strokes in a risk-free manner with amazing accuracy. His cover drives were gorgeous, his lofted shots, while few, were awe-inspiring, and his running between the wickets was astounding. He definitely led by example as the captain of the Royal Challengers, pushing his team to their limits and extracting the best from every player. He was given the Player of the Tournament award, further justifying his place at the top of the ICC rankings for T20I batsmen. Moving on to Test cricket, Kohli scored his first double hundred in whites against the West Indies in Antigua, and topped the run charts with 251 runs in the four-match series. India’s home season followed, which included series against New Zealand and England. People expected Kohli to score buckets of runs, and he didn’t disappoint; I personally think he far exceeded everyone’s expectations. Against New Zealand, he scored another double hundred in the third Test at Indore and walked away with 309 runs from the three-match series. In the ODI series, he sealed India’s chase of 191 with a knock of 85* in the first ODI before showcasing his capability under pressure with a magnificent 154* off just 134 balls in the third ODI at Mohali, helping India chase down 286. Coming to the Test series against England, he scored 167 in the first innings of the second Test and followed it up with 81 in the second innings. He duly saved his best for when his team was looking to seal the series, leading from the front with a magnificent 235 in Mumbai, his third double hundred, virtually batting England out of the game. He looked determined from ball one and never let any bowler from the opposition get the better of him. The cover drive, the sweep shot, the straight drive, the guide down to third man; they were all there, and every shot oozed class and talent. In the fifth Test, he scored only 15 in what proved to be his last innings of the year, as India defeated England by an innings to take the series 4-0. Overall, Kohli scored 1215 runs in Test cricket at 75.93, 739 runs in ODI cricket at 92.37, and 1614 runs in T20 cricket (internationals plus IPL) at 89.66 in the year 2016. Those are some staggering numbers, no matter which way you look at them, coming to a grand total of 3568 runs across the entire year, all international formats and the IPL included. Few would argue the fact that Kohli is today the best batsman in the world, when you consider all three formats. He has been consistently among the runs, scoring runs in tough conditions against quality bowling attacks. His Test exploits against South Africa and England away from home this year, though ultimately in vain (India lost both the series), were the stuff of dreams for Indian cricket loyalists. However, there is a reason as to why I chose 2016 as the year to chart his progression. While he has been spectacular in the two subsequent years, his batting reached new heights in 2016, in that he always looked like he was just picking up from where he left off in the last innings. For a batsman to achieve such levels of consistency is fantastic, and indeed, he was nothing short of phenomenal. At the time, his only weakness seemed to be countering the swinging delivery, particularly ones on the fourth stump line, but even those fears have been assuaged based on his numbers from the recent tour to England (593 runs in five matches at 59.3), and one can say now, with confidence, that there is not a technical flaw with his game. In the coming years, we will probably bear witness to the era of one of the most complete batsmen the game has ever seen. It has already started, of course, and Kohli has shown no signs of letting us stop revelling in his glory anytime soon. Only time will tell how far Virat Kohli goes in his career, but for now, let us take delight in his cover drives, and celebrate the passion that he is bringing to Indian cricket, and to the cricketing world as a whole.